2014 is now a thing of the past. As we continue to creep into the New Year, companies are finalizing their new budgets, closing out their books from the previous year and (hopefully) paying annual bonuses. In addition, if you overpaid on taxes for the previous year, you may be receiving a tax refund. This is the time of year when clients come to see me with this “found” money and ask “What should I do with this money?” Receiving a lump sum of money can be overwhelming, but with the advice of a financial coach, we can find the best fit for this new financial windfall. 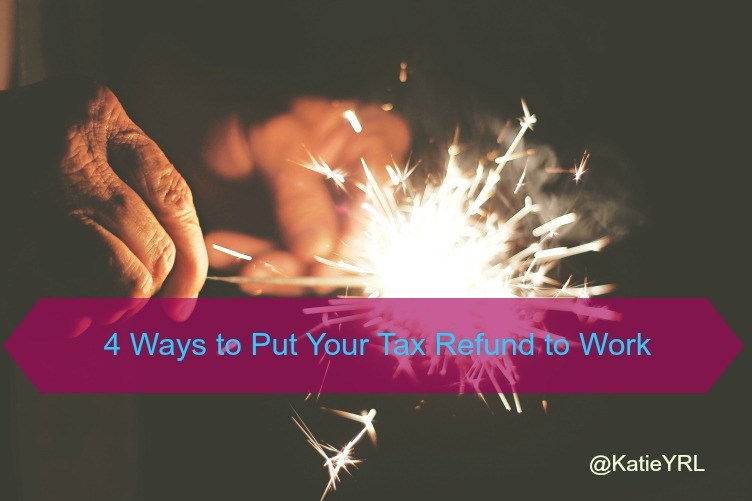 There isn’t a one size fits all answer as to what you should do with your annual bonus or tax refund because everyone’s financial situation is different. The key to using your money wisely is to understand that you have options. Very often people think financial planning is an all or nothing scenario so I’m here to set the record straight. Not all of your annual bonus or tax refund has to be spent in the same place! You can allocate your dollars wisely and increase your financial health while having some fun too. I usually tell people to determine ahead of time how much money will go towards “fun stuff”. The reason I do this is because the allure of a lump sum of money creates the temptation to go a little crazy with spending when we see those dollar signs. To avoid all the angst of having the money “burn a hole in your pocket”, commit beforehand to a reasonable amount to let yourself spend guilt free; between 10 and 20% is a good amount to have fun with. You worked hard for it and you deserve to have a little fun. If you plan to use your lump sum responsibly and pay off debt or put it towards savings, you may have nothing left over to just spend on yourself. With some people, that’s just fine, but with others this attempt to be really responsible can actually backfire and lead to impulse spending and over spending later. You can avoid all that by setting aside some fun money to enjoy. After that’s out of the way, you can then think about how to allocate the rest of the money responsibly. Paying off high interest debts such as credit cards, loans and lines of credit should always be a priority because the longer you keep outstanding balances, the more interest you’re paying. I think we can all agree that money spent on interest charges could be better spent on something else. If you don’t have any consumer debt, you may want to make a prepayment on your student loan or mortgage. Before you do, contact your financial institution to make sure there aren’t any prepayment penalties. If debt is not a part of your financial life, you may want to add some or all of your remaining bonus or tax refund into your emergency savings fund. I know that this is not the sexiest thing in the world to contribute to, but it is a really important part of your financial foundation. Some people don’t believe in having emergency savings because it’s almost like betting that something bad will happen. But if you do have an emergency such as unexpected car repairs, you will be glad to pay for the expenses in cash as opposed to putting them on your credit card and accruing interest. With other priorities such as enjoying your money, paying off debt and saving for a rainy day, don’t forget about your long term goals. Allocate a portion of your annual bonus towards savings goals such as buying a house and contributing to your retirement account. Sometimes long term goals are put on the back burner because people think “It’s okay, I can start saving later”. The truth is the sooner you get started the less you’ll have to save – and the faster you’ll achieve your long term goals. No matter how big or small your “found” money may be, with a little bit of planning and guidance from a financial coach, there’s always room for all your goals. At Your Richest Life, Katie Brewer, CFP®, believes everyone should have access to financial resources and coaching. If you’ve ever contemplated if a financial coach could help you get on track with your financial goals, schedule a complimentary consultation with Katie today and find out.